Lately, I have really hated hearing the following expression. “Everything happens for a reason,” or, “It was meant to be,” or, “God has other plans for him”, or, “God doesn’t give you more than you can handle.” It’s like they don’t know what else to say and so they have to find a reason for his death. What about me and what about our dreams? Am I not worthy of finally having a peaceful and relaxing life after struggling emotionally and financially for 20 plus years to raise two children as a single mother? Why does God have to be so cruel! I just want to stop the array of emotions that is all jumbled together such as pain, anger, grief, jealously, envy and loneliness. Will I ever feel somewhat normal again? Yeah, I know that it will “someday” get easier but honestly I don’t think that no one truly ever gets over it. Which bring to say that I hate to admit it but I too sometime believe that some things do happen for a reason. 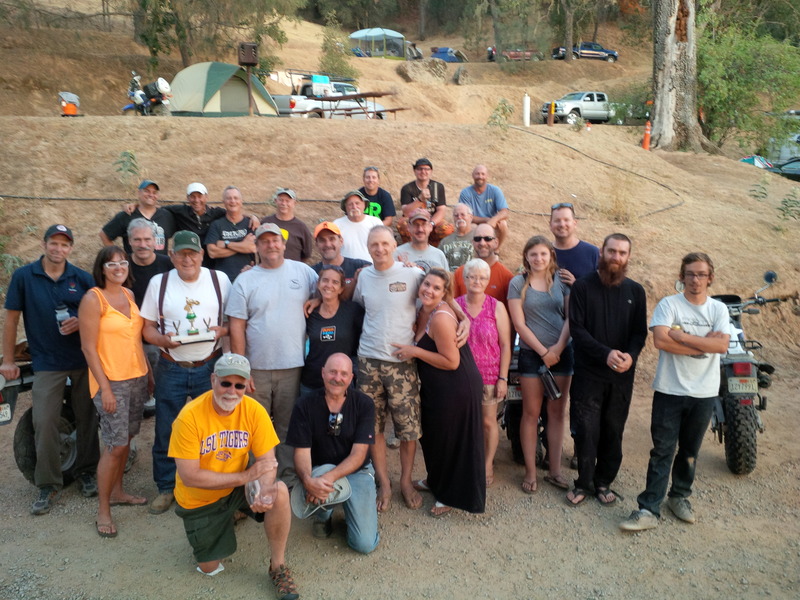 For example last weekend, the TW200 motorcycle community hosted a camping and riding memorial in honor of my late husband in Santa Margarita, California which is a halfway point between northern and southern California. This event was in the work before my husband got sick. Remember, in my about page, I mentioned how attending the Horizon Unlimited (HU) event last year gave me the itch to travel on a motorcycle around the US. Well, this event gave my late husband the idea to create a similar event for the TW200 motorcycle community. On our way home after the HU event we met up with a fellow rider, Mel, for lunch and started hashing out the logistic for it. In honor of my late husband, our friend, Mel, continued with the project and hosted the event last weekend. 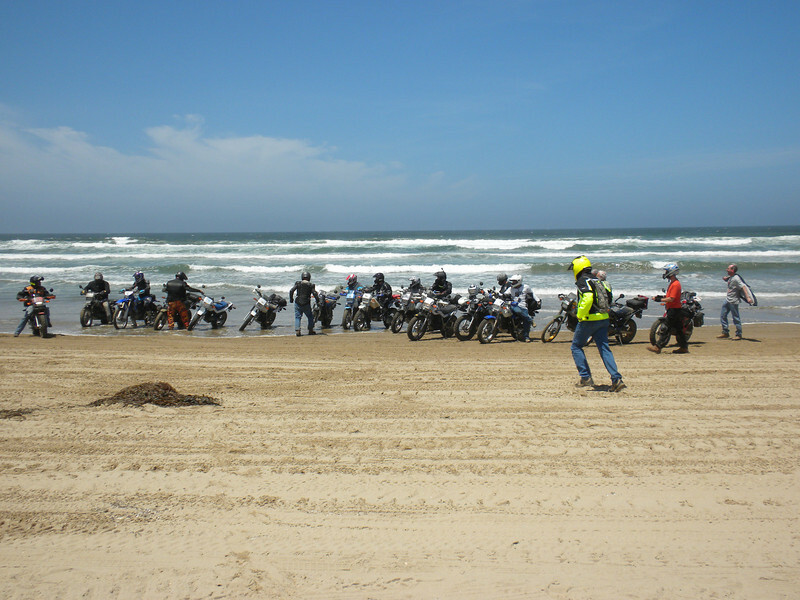 There were about 40 people who attended the event and 21 of them were riders. I hate to say this but I honestly don’t believe this many would have made the trek to this event if it wasn’t to honor his memory. Anyhow, it turned out to be a successful event. Mel who was our coordinator was also our chef for the event who provided breakfast and dinner for all 3 days. On Friday, we ended up doing an impromptu ride up to High Mountain lookout, a retired USFS fire lookout that has been restored back to life. It is now a designated critical habitat area for the California Condors. On Saturday, we were originally going to have 2 rides going, one for the technical riders to the Pozo OHV area and the other was for those who want to take it easy and head out to Pismo Beach. Everyone opted to take it easy so we could ride as one big group. I have never seen grown men acted like little kids riding their motorcycle on the beach. For many of them it was for the first time ever. They were having a blast! That night we had a BBQ with Santa Maria Tri-Tip and a campfire with an entertainment of Mel’s demonstration of how to prepare and make “Dough Bitty’s.” Side note – the adult version of these delicacies has since been renamed – “Brokeback Biscuits” by the guys (you really had to be there to appreciate this one!). I haven’t laughed so hard in a really long time. It was a much needed therapy. 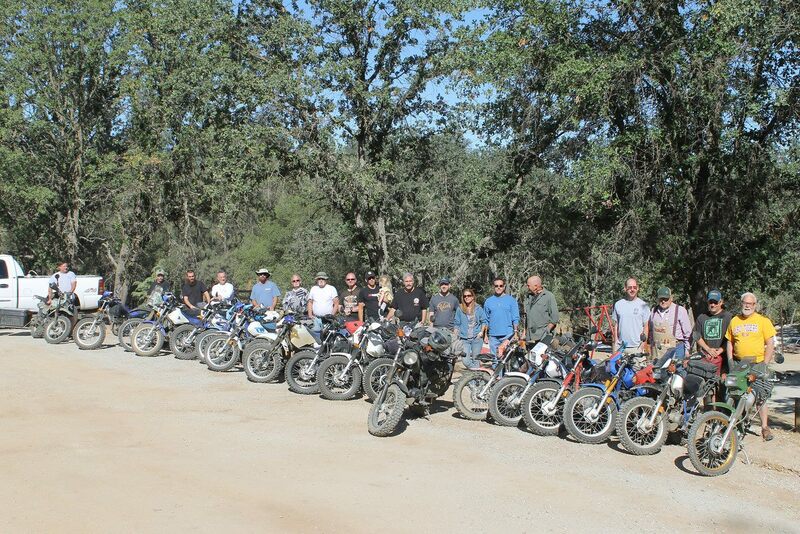 Then on Sunday, the NorCal group went home and the rest of us stayed to ride the Pozo OHV area. Of all of the days this weekend, Sunday was the hardest for me and since I wasn’t a 100% in the head I decided that it wouldn’t be safe for them or for me to join on the ride. Later on I realized why I was having such an emotional day on Sunday, I still can’t do “Goodbye”, it still has too much stigma attached to it. Anyway, I led them to the trail head and headed back to camp. Well, I sort of head it back to the camp; the ride from the camp to the trail head is a 12 miles of winding back road. I always struggle with the curves and a little voice in my head (courtesy of a friend that I met at the Overland Expo) told me to stop looking at my speedometer and just feel it. Needless to say that did the trick and I was having such a blast so I kept going back and forth between the camp and the trailhead to keep practicing until the boys got back. All in all, we had a great time. It was nice to finally to meet everyone face to face and to get to know our real name since we were only known by our handle on the TW200forum.com. Also to share stories about my late husband who was known as Lizrdbrth on the forum. We had a lot of laughs, wisdoms and cries during those three days. For me it was a bittersweet event. Just remember that life is too short and cherish the times you have with your friends, family and loves one. You’ll never know when you might go home to an empty house. Why would you do such a crazy thing? That is what I’m hoping is to find is closure, myself and serenity on this journey. Like you said I may or may not find it but I won’t know until I try. Thank you Jeff..love to you and Judy as well. Gina, I must respond to your post saying it was of little effort to do an event that we had talked about, and would honor Russell. He had shared so much with so many, so it was necessary to give you and those who attended an opportunity to be together and say “Thank You”. I too feel a personnel loss, knowing it can never be returned. God Bless you and my your dreams come true. Thank you Mel for putting on a wonderful event. It wouldn’t turn out as well without your hands in it. You’re the one who made it memorable.